A lot has changed in Jaipur during the last few years. And so has men’s salon in Jaipur. These hair salons were popular until a few years ago. The new swanky ones have popped up across the city fast replacing them. With a wide variety of new-age salons to choose from home-grown chains to international ones like Tony & Guy, F-salon, and Truefitt & Hill, these are dying shops with little future. Probably, we won’t see them around in a decade or so. While the old generation of barbers continues to service customers at an affordable price in these salons, the young barbers prefer to work in swanky places & generate more money. It is not that these salons are a century old but in the current context, they have fallen out of flavor and therefore considered old-fashioned! The above picture was photographed at Jaipur heritage walk route in the old Jaipur city. Hi Bhavna. This is a monochrome picture and B&W does have some element of nostalgia. I’m glad that this picture brought back memories. These shops were part and parcel of our lives. Keeping a kid still for a haircut was always a challenge and it still is! Of course, we now have mobile phones to keep them distracted. I’m glad this post helped you to connect with your brother. By the way, how did you find this blog, Surabhi? ah! Great! Do you also participate in WW? In my neighbourhood there is a salon like that. It is standing somewhere in the middle. It is not a swanky air-conditioned affair. Neither it is a sitting by the roadside stall. Charge is almost half compared to an airconditioned salon. I visit it. Because given the number of hairs I have, I find it difficult to justify shelling out Rs. 120 per visit. I go to this less expensive, Rs. 50 till last visit, place. He uses a fresh blade to shave. I don’t drive there. But he still gives me some undue respect compared to his other customers. 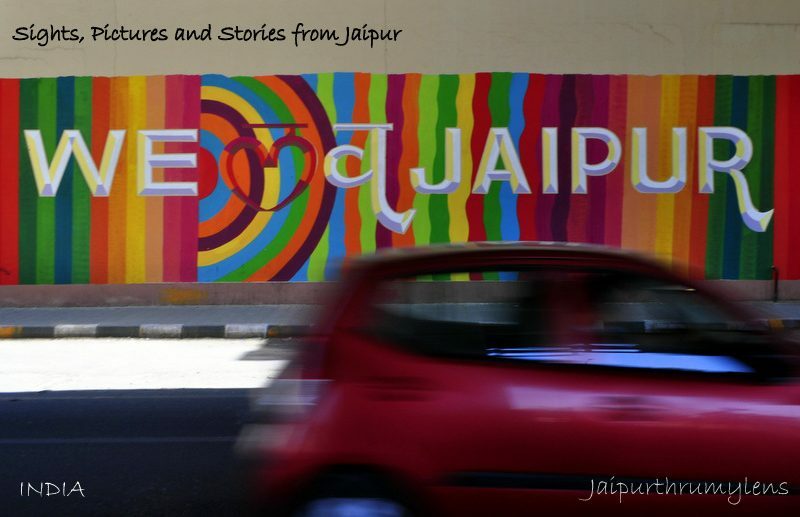 Next Next post: How To Explore Best Of Jaipur In Two Days?